Do you reply with “Yes, I can speak Chinese“? Or is it “I can speak a little“. Of course your actual answer might be more complicated. What level do you have to reach to change that answer from “a little” to “Yes I can”? To answer this, you have to determine your own goals. What is your reason for learning Chinese in the first place? Do you live in a Chinese speaking society and want to be able to communicate with the people around you? If that’s the case, then all you need to do is get to a level of fluency where you have enough vocabulary to get your point across. You may not be using the optimum vocabulary, but your meaning still comes across clear (”foreigners” tend to get a free pass in this area). Or perhaps you have married into a Chinese family. All you want is to be able to say things like “Can you pass the soy sauce”? The path here is a little clearer. If you make a determined effort to always find out how things are said in Chinese, you’ll find yourself being able to say them yourself over time, without having to ask for a translation. This works especially well with words and phrases that are constantly repeated. Perhaps you work in an industry, where you deal with Chinese clients. In this case, it’s important to learn the vocabulary for the items in your industry. What types of conversations will you be having with your clients? Listen to the word choices that the translators are using and try to come up with them on your own. Over time, the goal should be to depend less on them, as you’re able to come up with those word and phrase choices on your own. 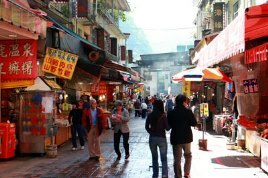 Living here in Taiwan, I’ve seen westerners selling goods at the local night market. They seem fluent in Chinese, being able to bargain with customers and answer detailed questions about their products. In many cases, the Chinese they know is limited to that industry. They only learned what they needed to know. Are you focused on learning what you need to know? Or are you wasting time in areas that don’t match your final goals? Chinese is a difficult language to learn. We’ve all heard that. The tones are hard to grasp and there are too many characters to remember. Many have tried learning Chinese in the past, only to give up in frustration. Part of the reason for giving up is that the training methods they were using didn’t match the goals they had for themselves. When I first started learning Chinese in Taiwan, I enrolled in a local university language center. All I was looking for, was to improve my listening and speaking skills so that I could improve the quality of my daily life here. However, in the course I was in, there was a heavy emphasis placed in reading and writing, both of which I wasn’t interested in at the time. In addition, a written placement test was given to me, so they could place me in the right class level. However my reading and writing skills were non existent at that time, so I was placed in a beginner class, despite my listening and speaking level being much higher than that of my classmates. This resulted in a poor learning experience for me, as I spent a lot of time repeating things I already knew, while also spending time in areas I wasn’t interested in. At CLO, we have separated the skills needed to learn Chinese, so you can focus on the areas you want to strengthen yourself in. The learning methods you choose should depend on what priority you put towards each of these skills. If you want Listening to be your strongest skill, then focus on the CLO lessons, since there is so much listening content provided there. 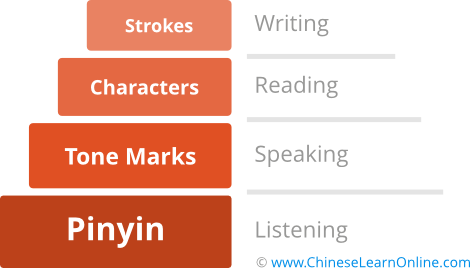 Don’t worry about characters, and just use the pinyin transcripts available for each lesson. If you want to practice speaking, then I recommend our Skype One on one program, where you’ll be matched up with a teacher who will give you a lot of speaking practice. Since pronunciation is important, focus on the tone marks for each word in pinyin, to make sure you are using proper pronunciation. If you want to focus on Reading, then you’ll need to look at the character (simplified or traditional) word for word transcripts provided with each CLO lesson. You can also try out our new site that helps you read and type in Chinese. Lastly if you want to become really good at writing in Chinese, then you’ll need to learn the stroke order system. You can either use the character sheets that are provided with most lessons, or look at third party tools like Skritter that focus solely in this area. By matching our tools with your exact learning needs you should find yourself seeing faster progress, as you’re only spending time in the areas you need to. You’ll also experience much less frustration in the areas you’re not interested in. How about you? What skills are you most interested in developing? What tools do you find the most useful for you to improve in this area? The course has gotten great feedback over the years, but we are not done yet. Expect to see more tools added in coming months to improve your learning experience. Stay tuned! 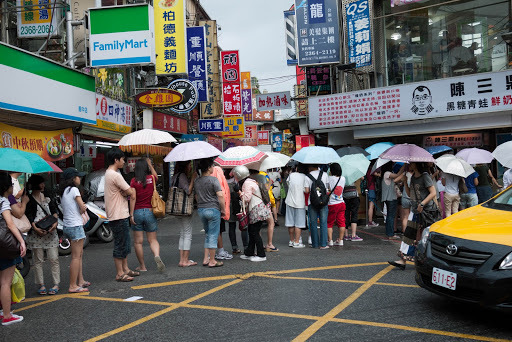 One aspect of Chinese culture that I found quite different in Taiwan was the concept of standing in line. Wherever possible, I’ve grown up trying to avoid standing in line. 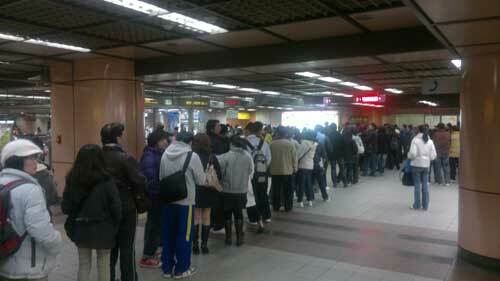 However in Taiwan, people seem to almost enjoy standing in line. If a local coffee shop has a buy one – get one free deal, expect a long line-up. While I might balk at having to wait for half an hour to save $3, many locals here embrace the thought of being able to save money, even if it means standing in line or a long time. 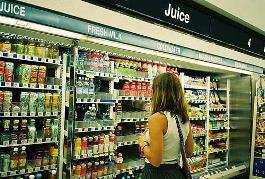 Lines are also used to gauge the popularity of a shop. Imagine you are standing in front of two drink shops that both seemingly sell the same type of drink. However one has a long line-up while the other one stands empty. Which shop would you choose? 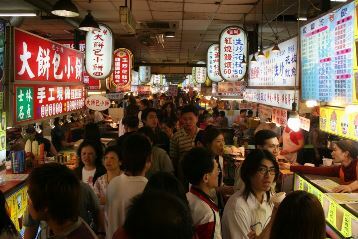 In Taiwan, people will usually choose the shop with the line-up – after all it must be popular to have such a line-up, right? All this experience in lining up though has paid off for them. The line ups for getting on the Taipei MRT transit system are some of the most orderly that I’ve found anywhere in the world. Lines are marked on the ground where people should stand. What a difference it makes during rush hour to have people be able to step off the train in an orderly fashion, while new passengers patiently wait their turn without blocking them. It results in a very efficient system of moving mass throngs of people from one train to another. Despite all the places that I’m used to lining up at, I’ve been pleasantly surprised at how many places use ticket systems to avoid line-ups. Banks, mall food courts, utility companies, hospitals etc. 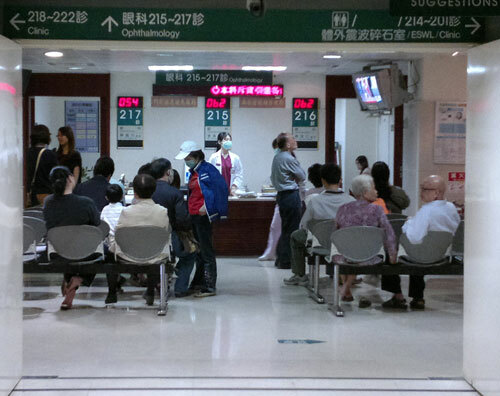 all provide seating while you wait for your number to be called. While you wait, you can kill time by watching headlines from the local news on a nearby television. As I grew up in Canada, I got to know a lot of immigrants who moved from non English speaking countries. When they first arrived, they could barely say a word in English. However a year or two later, they could converse in English with no problem. When I first arrived in Taiwan, I assumed the same thing would happen here. Sure, I couldn’t speak any Chinese when I got here, but give me a year or two and I’d be fluent! However, after a year or two, I came to the realization that I could still barely speak any Chinese. Why was that? Was I that bad at learning the language? The truth was, I hadn’t put much effort into learning the language. Why would I need to? I live in Taiwan! I hear Chinese all around me, and see Chinese characters where I look. So what was the problem? The problem, it turns out, came from the characters. When people learn English for the first time, they usually start with the alphabet, then work their way up from there. When learning Chinese though, many students (myself included) skip learning characters, as they are too complicated. Instead, we focus just on listening and speaking – using pinyin as our writing system. What’s wrong with that? Back to how people learn English – a lot of the learning comes from reading. When we hear this, we assume they are learning from reading children’s storybooks, but this is only a part of the learning. A bigger part of learning comes from being out on the streets in an English environment. Imagine that you’re just learning how to speak English and you see the picture to your left, in front of you. You know it’s a bank, because of the ATM in front of it, and you see the word “bank” on top. You’ll start to recognize this word, as you’ll see it on every bank that you see. So eventually your brain will recognize this word as meaning bank, even though you may not have consciously taken note of it. If you’re really eager, since you’ve learned the alphabet, you might even try to pronounce “b-a-n-k” in your head, so that you can reproduce this word in the future, should you ever need it. Now extend this typ e of experiential learning throughout your daily life in a new country and you can see how you can quickly learn the language just by reading the titles of all the objects and places you’re interacting with regularly. Now compare this with trying to learn Chinese in a similar manner. 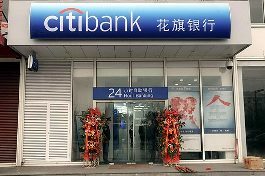 You see a bank in front of you and recognize it as a bank (after all it’s the same Citibank you’re familiar with) and try to associate it with the equivalent word in Chinese, but this is what you see instead. Since you haven’t learned any characters, it takes a lot more effort to recognize that 銀行 refers to the word “bank” in Chinese. Even if you could recognize those characters, it would be a lot harder to reproduce this later on, since you won’t know how it’s pronounced. As a result, in most cases, the brain just ignores what it can’t understand. This results in a lot of wasted learning opportunities with all the signs in Chinese we see in front of us on a daily basis. Imagine how fast your Chinese would improve if you could read each sign and figure out what it was referring to. That’s the edge most people are missing. So what’s the solution? Unfortunately, it’s not as simple as just learning the Chinese alphabet first, since there isn’t one. Instead you have to go through the process of learning each character, one at a time, and hopefully maintain your character recognition skills with the vocabulary you’re learning. The current CLO course has an emphasis on listening, leaving you to learn the character portion on your own, using the available transcripts. For those interested in emphasizing characters more though, I’ve recently begun work on a new course, that is based around the same CLO course material, but with an emphasis on reading and typing Chinese. Create a free account and try it out today!